Both machines were so well designed - so overengineered - that they were able to last more than 21 times and 57 times their original planned mission lengths. When they did give out, it was due to uncontrollable, external factors - and not because some component wore out. But one perspective I haven’t seen is that the rovers are an excellent example of what good government can do. Opportunity and its twin sister named Spirit landed on Mars in January 2004 with the goal of surviving and researching for at least 90 Martian days. After NASA’s initial investment of $820 million, it might come as a surprise that it anticipated such a short mission. Scientists expected Martian dust to settle on the rovers’ solar panels, and for the rovers to slowly lose their ability to recharge to stay alive. This means there was no reason to engineer the other parts of the rovers to last longer than about 90 Martian days. But the rovers experienced “cleaning events” – Martian whirlwinds, or driving on sloped surfaces or something else no one had predicted – that would occasionally dust off the panels and restore the rovers’ abilities to charge. Spirit landed on Mars three weeks before Opportunity and drove more than five years until it got stuck in soft soil. Spirit continued performing research for 10 months, until it failed because dust and poor sunlight levels didn’t provide it with enough electricity to power its survival heaters. This means that both machines were so well designed – so overengineered – that they were able to last more than 21 times and 57 times their original planned mission lengths, respectively. When they did give out, it was due to uncontrollable, external factors – and not because some component wore out. Now, you can call me cynical, but I don’t think a for-profit company would put nearly as much time, effort and money into a rover with only an initial 90-day mission. And for good reason: There’s no real perceivable reason to. There’s no additional expected return on investment. NASA is not concerned with profit motive. NASA is concerned with working with the funding it has to research the cosmos. 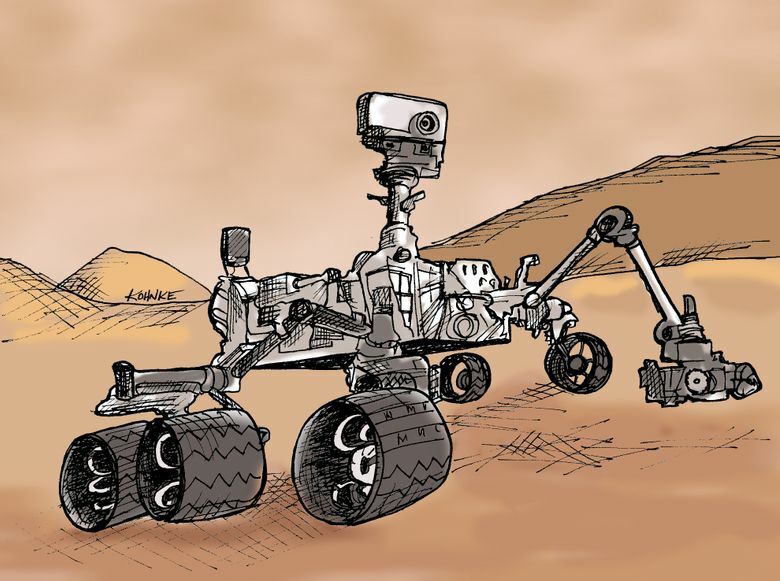 You could argue it got a 7,800 percent return on its Mars Exploration Rovers’ investment. Some things are best left to organizations with no profit motive, and with a responsibility to the people. Let’s hope the memories of Opportunity and Spirit can remind us of that. Joe Trotta of Redmond is a software engineer and science enthusiast.